Beach bar on Loh Dalam Bay. 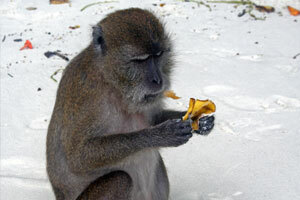 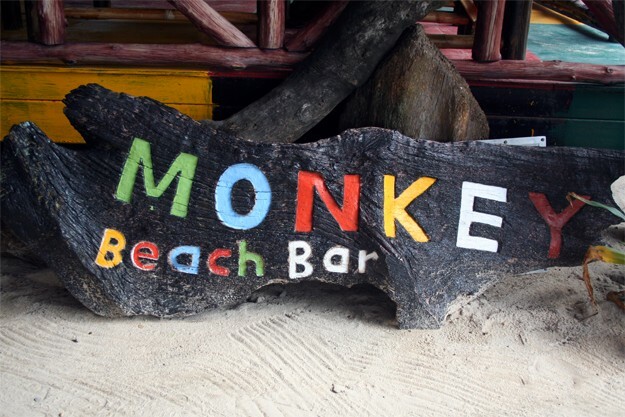 Monkey Beach Bar is located on Loh Dalam beach, facing the beautiful rocky peaks bathed in the turquoise waters of the Andaman Sea. 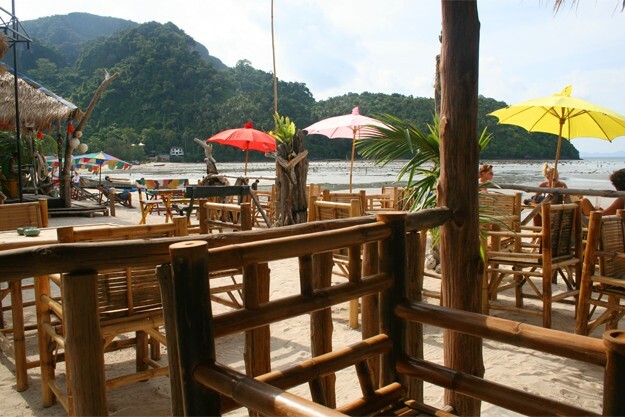 The bar is entirely built in bamboo, right on the sand. 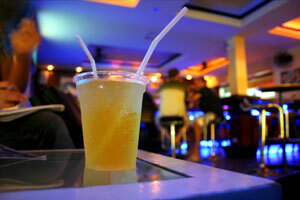 Reggae music (not too loud) creates a relaxing atmosphere.